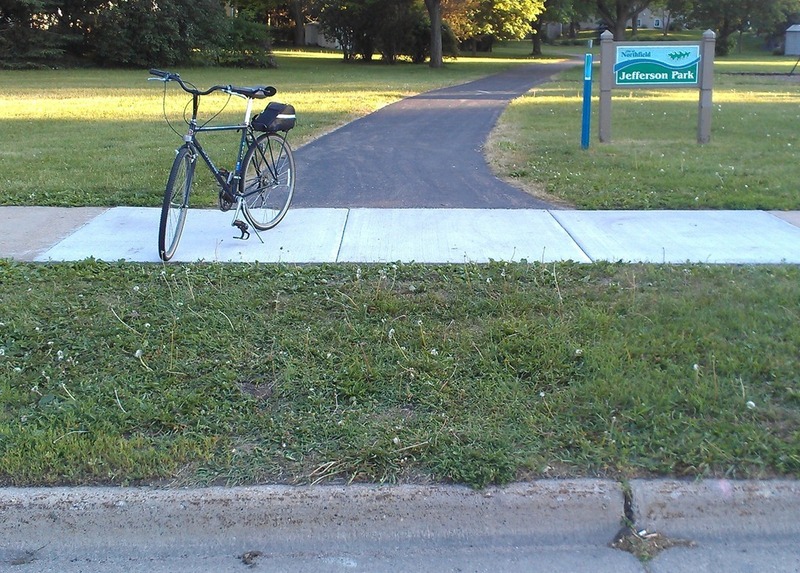 One thing that still puzzles me, however, is the end of the trail that goes through Jefferson Park. 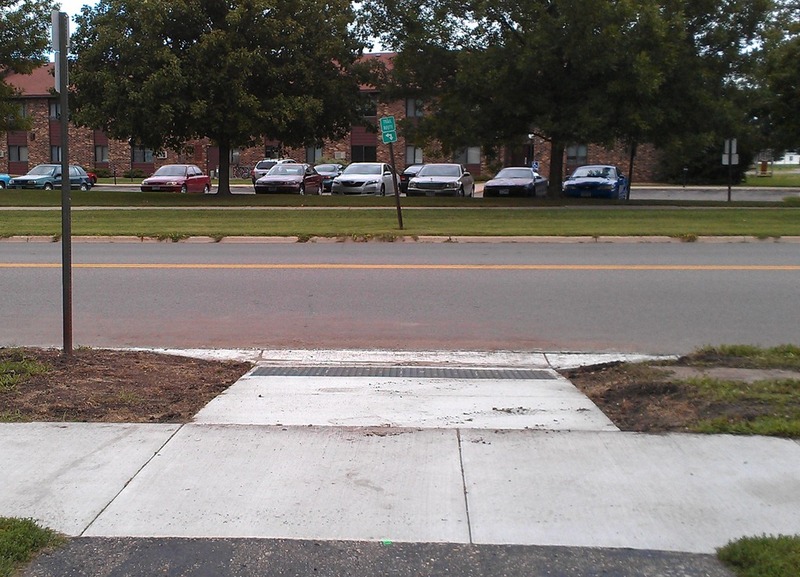 It connects to the sidewalk but across the street, there’s a sign on the north side of Jefferson Parkway that says “TRAIL ROUTE” with a 90 degree arrow. If the intent is to signal people that now on-street walking/biking is required, it seems like there should be a curb cut there where a section of the sidewalk was just replaced. Or am I confused? Actually, it was Sean Simonson and Steve Bennett from the Engineering Department, working thru the Street Improvements project contractor, Heselton Construction, and their concrete subcontractor, who made this happen. I will pass on your thanks. I rode my bike on the trail yesterday and indeed, it’s just like George said. Cool. I love it when City staff pays attention to citizens on small stuff like this and quickly gets things done.